A lightweight, waterproof, high-performance underlayment and tilebacker that installs quickly in residential or light commercial spaces. 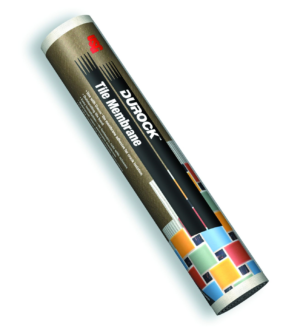 Durock Tile Membrane is water-resistant, thin, and vapor-permeable for ideal use on nearly every floor or counter top designed accept tile. The mold and mildew-resistant membrane rolls out flat and cuts easily, making installation quick and virtually mess-free.